One of our deepest needs is to have a sense of security and stability. It is deeply wired into our neurology. On a day like today when the security of our nation was rocked by the horrible terrorism of 9-11, I think we should reflect on the children in our families, our communities and consider the importance of providing them with security as they grow to be who they were created to be. September is also Suicide Awareness month and we are currently experiencing an epidemic of suicides among teenagers and even young children at increasing levels. It is a terrible tragedy. One of the greatest solutions is for children to know with great confidence that they have someone in their life that cares deeply for them. Losing our sense of human connection is terrifying and I would like to illustrate that with two videos. Please watch them in the order presented in the blog. The first video is a clip found in the Netflix show, Magic for Humans. It is a fun creative show. We enjoy it as a family. The magician in the show conspires with a crowd to convince participants that they have truly disappeared. With a little evidence the men in this clip become quickly convinced they are invisible to the crowd. It is both scary for them, and mildly entertaining. But the discomfort is evident. This second clip is much more terrifying. A family tries the same trick on a preadolescent girl. Her terror is heartbreaking. I can’t watch the second clip without experiencing strong emotions. I want to be careful about being too judgmental of the family. We all participate in family activities that go wrong. I am sure this family is loving as evidenced by the girl’s demands for her mom. She likely has strong and healthy bonds to her parents and she will probably recover. My point in showing each of these videos is the contrast in an adult’s and child’s response to isolation and disconnection. The adults had more “resources” to cope with the stress and clearly the young lady’s level of distress escalated quickly. ​The mental health arena is rich with references to the stages of grief that Elisabeth Kübler-Ross introduced us to way back in 1969. The final phase of her model is acceptance. When bad stuff happens, we deny, get angry, bargain, become depressed, and according to the model ideally reach a point of acceptance. Yet increasingly much of our culture refuses to accept grief and pain. We choose to alleviate our pain-loss-disappointment with various strategies. Acceptance (as defined by Kubler-Ross) is unfortunately an important emotional skill our culture seems to have abandoned. We have become addicted to making ourselves feel better. We don’t like hurts, and in fact we do our very best to avoid it. Why has this happened? Can we really do anything about it? How do we develop a culture of Acceptance versus the need to alleviate or avoid pain? Attachment theory and its perspective on early childhood development might offer some insights. In attachment theory we talk about how an infant protests and tantrums to express a need. Things don’t feel right, and the child is uncomfortable with their circumstances (hungry, tired, hurting, gassy, etc.). Their expression of discomfort is a cue that the parent needs to respond. In an ideal world this happens almost perfectly, but the world is not really ideal. As much as parents (even the best parents) diligently attempts to understand their child's needs they sometimes fail. When this happens in the context of a healthy parent child relationship, the child actually learns to develop a sense of acceptance (grace, benefit of the doubt) of their parent’s failure. Though they may not feel great about the parent’s lack of responsiveness and they may actually be disappointed, they accept it. They even develop a resilience and tolerance for waiting the next time there is a need. Ultimately leading to an ability to recall times past when the parent was responsive and met their needs and so the occasional failure can be endured. The problem comes in our culture’s obsession with alleviating pain. We want so bad to be free of discomfort that when frustrations, losses, or disappointments occur we scramble as quick as possible to respond and escape the pain. We don’t want for ourselves or for others to hurt, so we rush in to fix. Legislators curry favor with disadvantaged groups. Therapists entitle rather than empower. Corporations peddle pleasure to solve your woes. The results are people who take wide swaths to avoid challenge and engage in tirades rather than tolerance. If we don't like something we protest, we boycott, or we belittle. If we see something upsetting, we post about it on Facebook or write a blog - we passionately believe the lie that the world is really going to hear our voice if we put it on a public forum. If an employee of a company treats us disrespectfully we quickly fire off an often contemptuous email to corporate headquarters. We soothe our hurts with all manner of drugs, bad habits, and sugary carbohydrates. We spend more money than we have. We gorge our stomachs. We inject our bodies with toxins. We use social media to self-promote our “best life” so we can convince ourselves that things are not that bad. We obsess with “likes” and emojis believing the falsity that the more "thumbs up" we acquire, the more consensus we have from our online friends. Using attachment thinking, if the parent were perfectly responsive the child would never develop perseverance. So our culture, refuses to accept that a better day is coming. We cry out and hope our outburst will alleviate our suffering and disappointment. The child survives the parent’s slight by recognizing and accepting that circumstances will improve. The secondary benefit is that the child might come to empathize with the parent’s failure. The parent never intended harm by their oversight. The child can develop a sense of grace in their misfortune. Maybe there is value to a quiet reserved acceptance of our stance in life. Look - bad stuff happens. No one has the ability to escape all difficulty. There seems to be a value to suffering. Seems like our culture needs a little toughening up, rather than persistently tantruming like two-year olds. We could shoulder the weight of some discomfort, and possible help ourselves become stronger. Acceptance does not make the pain go away, but it clarifies what is important and helps us develop empathy for others. So grow your tolerance muscle. Accept your sorrow. It is likely your next door neighbor knows something about what you are dealing with. Note: Severe failure by a parent is neglect and we would identify such a mismatch in the parent child relationship as abusive and for the sake of this discussion, it is not a type of failure I am referencing. Rather I would suggest that a normal part of relationships means there are going to be mismatches and disappointments in the meeting of needs. Please remember I am not referencing overt situations of assault or abuse that cause pain. Those are completely different circumstances that require swift and clear boundaries to protect the innocent parties from any injury. The news stories are happening way too often. Children in the protective custody of the state of Texas are placed in foster homes only to be abused by their foster parents. Victims of maltreatment are revictimized by the system that is supposed to keep them safe. The data on this problem is disturbing. ​From 2010 until 2013 the likelihood for a child to be abused in the state of Texas ranged from 9-9.4 per 1000 children. This rate remains pretty steady and is slightly less than 1%. During the same period the likelihood for a child in the foster care system to be abused by caregivers tripled. This means that in 2013 children placed in foster care only had a 66% reduction in the likelihood of being revictimized. This is completely unacceptable. This means a child that is a confirmed victim of abuse should have a reasonable expectation of placement in a safe living environment and only improves their chances for safety by 66% compared to the general population of children. An improvement for sure but the chances for abuse in the foster care system should be much closer to zero. Recently a judge in Texas has ruled the CPS system in Texas to be unconstitutional due to the rampant problems in the system. More than 30 percent of investigators — the ones on the front lines of protecting children from abuse — leave each year. One out of every six new hires quits within the first six months. Caseworker salaries have barely moved. In 2007, entry-level investigators earned about $34,600. Today it’s $36,700. State officials say investigators generally juggle about 20 cases at a time, but a state-commissioned study recently showed that the real numbers vary wildly. At one point during the last year, investigators in South Texas averaged as many as 85 cases each. The Child Welfare League of America recommends that investigators carry no more than 12 cases at one time. Caseworkers are so bombarded with paperwork that they spend just 26 percent of their time with children and families. These problems are just a small sample, but they highlight the primary issues of high turnover and lack of contact with children/caregivers. As a consultant I have worked with many foster care agencies in the North Texas region. I currently collect outcomes for some of those agencies and have been doing so for close to 10 years. The non-profits are institutional group homes, a model considered by most in the child welfare industry to be an outdated dinosaur that should be eliminated. A fact highlighted by the statistic that less than 5% of foster children in the state of Texas are placed in institutional placement. The interesting finding is that in all my years of collecting data with these agencies (on over 1000 children) there has never been a report of child maltreatment. This difference compared to the .29% abuse rate in foster care is what we would call statistically significant. It is time for the state of Texas, the media, and professionals in the child welfare arena to stop using the same old tired excuses for the problems in foster care. Stop telling our communities and children that the problem will be solved by throwing more money at it. It is time for a complete reevaluation and overhaul of the system as it exists. It is time for the state of Texas to be courageous, as it has in many other political arenas, and reject the policies and practices that are being promoted from the federal government in the area of child welfare. The citizens and caregivers in Texas know what is best for the children in Texas. Maybe it is time to reconsider this long held belief that institutional group homes are bad for children. Let me offer three reasons. Most of the institutional group homes providing foster care are faith based. Though religious values are not a guarantee against abuses, they offer a protective factor. Many of these programs are operated by administration and oversight boards that maintain a standard for program values and treatment of clients. The good that faith based programs have offered western society far outweigh the problems that have occurred. Many children placed in institutional group care live in one home for their entire placement. Many experts agree that frequent placement changes are a significant problem in the foster care system. Currently in foster homes only half of children have 2 or fewer homes they they live in while in foster care. This compares to one home for many institutional programs during the 1-2 years a child lives with them. Institutional group homes form a community or network of relationships. Many talk about the virtues of it “taking a village” and institutional group homes embody this concept. Children in these programs not only have a stable set of caregivers, but other caregivers living in close proximity, and administrative staff (caseworkers, counselors, spiritual mentors, etc.) that see them on an almost daily basis. I​t’s time to retire the term “helicopter parents”. Depending on your source, the term was coined by one of two individuals. The psychologist, Haim Ginott, wrote about a child/teen sharing that their parent hovered over them like a helicopter. It then seems that the parenting expert, Jim Fay and Foster Cline wrote about “helicopter parents” in their discussions of parenting with love and logic. It seems the work of Cline and Fay brought popularity to the concept and is how is has spread throughout the school systems as the Love and Logic model is promoted by many schools. The popular interpretation of the term is referencing parents who “hover” and over manage the lives of their children. This can obviously be a concern. It is not productive for a parent to be in the habit of over controlling a child’s decisions or rescuing them from the consequences of their choices. 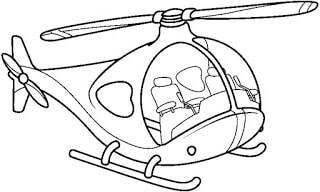 As I counsel families I have become increasingly concerned that the interpretation of being a helicopter parent is leading to problems. The two biggest problems I see are increased disconnection between parents and kids, and decreased engagement with teachers/schools. I have had parents say they are afraid of being too involved in their kids life, because they don’t want to be a helicopter parent. And though we should keep this in check, our fear of being labeled as a helicopter parent should not excuse our engagement in our kids lives and their decision making. We are our kids best coach, conscience, and connection. Distancing ourselves increases the risk of them floundering around with decisions that they are ill equipped to handle. A greater fear of parents is to be labeled by the community or by teachers as a helicopter parent. Unfortunately I have witnessed school personnel throw this label around flippantly with little consideration of a parents real motives. It is important to give the benefit of the doubt prior evaluating a parent’s decisions. An inquiry email or a request for a meeting are not examples of being helicopter parents. The research is clear that a child’s education is much more effective when parents and schools collaborate together. Many Native American cultures had a view of child development that involved extensive periods of adult engagement and apprenticeship before granting children independence and freedom. The attitude was one of walking along beside children, teaching, coaching, correcting, and even a little praising as children learned new skills. Unfortunately in our culture we often hand tasks or responsibilities off to kids without really teaching/mentoring our kids in the actual skills necessary for being successful. This may sound way to simple but I honestly hear often that kids (even teens) are not adequately brushing their teeth. And even though this may not apply in all situations, many times parents have not taught simple brushing techniques and supervised the activity until it is clear that the child has the skills. Mentoring does not mean controlling. Mentoring involves being a supportive presence while the child develops or grows their skills. We don’t move away from the mentor role until the child has the skills to function independently. Parents - Most (the vast majority) of teachers are talented professionals, who choose to be with students because they want the best for the children in their classrooms. They don’t just teach for a paycheck. They enjoy the rewards of seeing the children they teach grow, succeed, and conquer challenges. Teachers - Most (the vast majority) of parents of the kids you teach love their children. They love deeply and want the very best for their children. They enjoy seeing their children be successful, grow, and conquer challenges. Throwing around terms like “helicopter parent” causes us to label rather than solve problems. Our goal should be to collaborate together to solve the problems our children/students face. That might mean some differences in philosophical approaches. Differences can be resolved when both parties bring their ideas to the table and assume the best about the other.